The neck can be a tricky area to treat due to the curves and high movement within the area. Ultherapy Glow 1.5 can tighten and repair wrinkles on the neck. The Ultherapy Glow 1.5 transducer has been designed to tighten the superficial layers of skin in more delicate areas such as the eyes, upper lip and the neck. It is ideal for treating fine lines and crepey skin. Ultherapy utilizes focused ultrasound energy to heat the underlying fibro muscular tissues and create tiny controlled injuries. This prompts the body’s healing response to go into effect, which encourages collagen and elastin formation which results in skin tightening. The treatment can take between one to two hours depending on the extent of the areas treated. There is minimal downtime with the Ultherapy Glow 1.5. Transducer and patients are able to go back to work the same day. The results for Ultherapy Glow 1.5 can be seen immediately after but full results continue up to 3-4 months after the initial treatment. As the aging process continues, patients can return as needed and have the area redone for cumulative results.. Some people have fat located underneath the muscle in the neck, which is usually a hereditary condition. Belkyra and other less invasive options can get to that deeper fat in the neck area to improve results. These other treatments work well when used in conjunction with the Ultherapy 1.5 Transducer to treat and make the neck area more appealing. Please note that Ultherapy is the one and only FDA approved skin tightening and lifting treatment. Ultherapy Glow 1.5 offers natural results, no one will know that you have had a treatment done, but they’ll definitely notice how great your neck looks! Visit our website at www.lastinglooks.ca/ultherapy-toronto for more information on Ultherapy 1.5 or visit Lasting Looks Clinic in Toronto to give your neck an uplift with Ultherapy Glow 1.5. As we age, we start to see fine lines and crepey skin around the eyes, however Ultherapy has introduced a new transducer that has a depth of only 1.5 mm. This new Ultherapy transducer provides a perfect solution for treating delicate areas such as the eyes. It focuses on the superficial layers of the skin. The Ultherapy 1.5 transducer is also ideal for smoothing fine lines and correcting crepey skin. Ultherapy is the only FDA approved treatment for skin tightening and lifting. The Ultherapy 1.5 mm transducer ensures that the device does not target too deep and affect the muscles around the eyes. This newer Ultherapy 1.5 transducer targets the damaged areas in the underlying tissue around and under the eye. 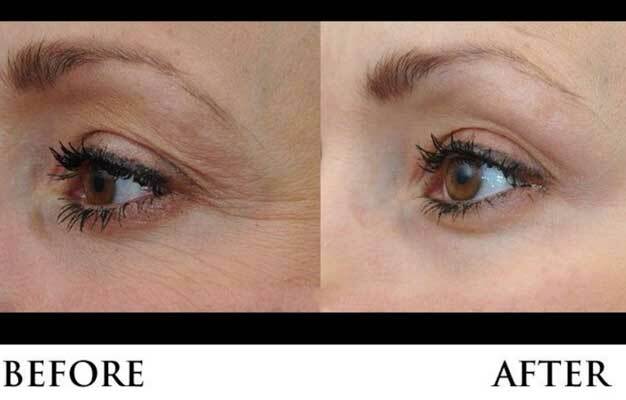 As the body’s natural healing response takes effect, the body sends increased amounts of collagen to the eye area, resulting in the “lifting” and “tightening” effect. This treatment is quick and a safe non-invasive solution that counteracts the effects of time and gravity on the skin. For more information on Ultherapy 1.5 for eyes visit www.lastinglooks.ca/ultherapy-toronto or contact Lasting Looks Clinic in Toronto for a complimentary consultation today. Ultherapy Toronto- What Are The Reviews? Ultherapy is rapidly growing in popularity, becoming the hottest beauty trend for skin tightening. Ultherapy’s impressive results have both doctors and patients alike raving about this ground breaking technology. Ultherapy has been featured on “The Today Show”, “The Doctors” and “Dr. Oz” just to name a few. Ultherapy has received glowing reviews by many Doctors, who cannot say enough about the treatment, praising its ability to achieve rejuvenating and natural looking results that last. 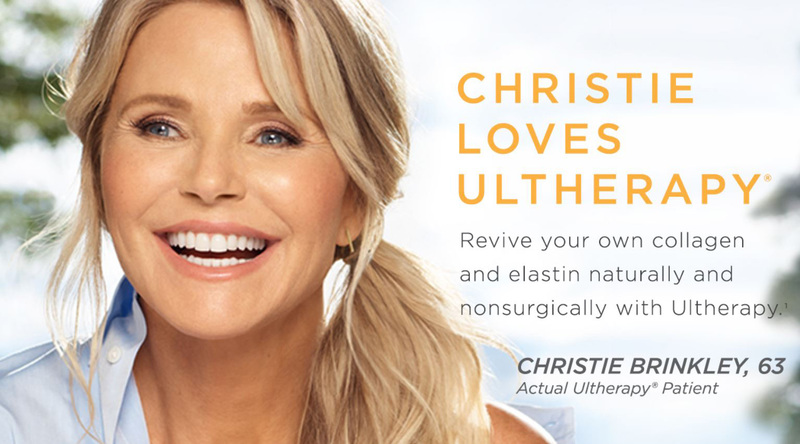 Celebrities such as Christie Brinkley, Jennifer Anniston, Vanessa Williams, and Jacqueline Laurita of the Real Housewives of New Jersey have all praised Ultherapy as their number one go to treatment. Ultherapy uses ultrasound energy to target tissue under the surface of the skin, stimulating the body’s natural production of collagen and underlying tissue of the face known as the smas. Ultherapy can treat areas such as the eyebrows, jawline, jowls and the décolleté. Over 1 million treatments have been performed worldwide with 95% patient satisfaction. To see why Ultherapy is the New Beauty Choice Award Winner, book a consultation at Lasting Looks Clinic in Toronto or visit www.lastinglooks.ca for more information. While a facelift is a surgical procedure, the benefits and results of a facelift are almost immediate and long lasting. Once bruising and swelling has dissipated , the results can be quite impressive. 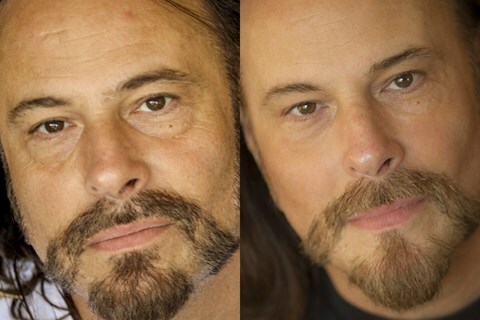 Although most men and women want quick results, the cost and downtime of a facelift, can be a big decision. A facelift tightens aging facial skin and underlying muscles, however it doesn’t improve skin quality. Bad skin quality can ruin a good facelift result and should be treated as well. Many people who might have considered a facelift in the past are now opting for laser and/or dermal filler treatments. As we age, volume is lost and we tend to look hollow and droopy. Dermal fillers, like Juvederm, Perlane and Teosyal, replace the volume that has been lost over the years. By injecting these fillers into the cheeks and the lower face, such as the marionettes and jawline, the skin appears lifted. This treatment of filling areas of the face with dermal fillers is commonly referred to as a “liquid facelift”. Although a liquid facelift might be an ideal non-surgical treatment for some, again, it doesn’t always address excess skin. If your problem is wrinkled skin with mild laxity, then skin resurfacing either with laser or chemical peels should be considered. If the issue is gravity, then the answer is surgery to restore the skin & underlying structures to their former position. 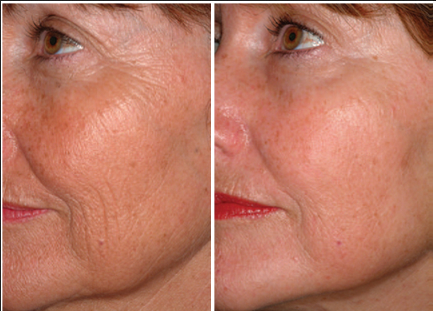 One option for skin tightening is radiofrequency. Thermage helps tighten the skin by directly tightening the collagen, which can give you a bit of a lift. Fraxel can tighten skin as well by reducing wrinkles, resurfacing and improving skin tone and texture of the skin. Another non-surgical popular treatment among the stars is an focused ultrasound treatment known as Ultherapy . Ultherapy requires no downtime and results are immediate and only improve over time. Ultherapy uses focused ultrasound energy to target the same layer known as the smas , which is the underlying deep tissue that is addressed by surgeons in cosmetic surgery. Ultherapy has the ability to also target the skin as well with a different depth causing new collagen to build as well, which over time will lift and tighten the skin. Ultherapy bypasses the top surface of the skin to deliver energy at optimal depths, temperature and precision. Patients who are not ready for surgery find that this is a great alternative to a facelift. Ultherapy can also lift your brows and the area under the chin and neck and smooth the décolleté. 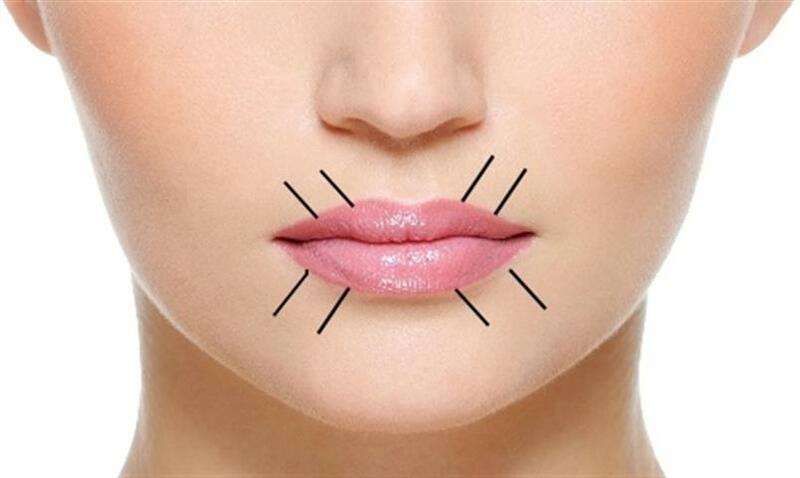 Each face is different, and like all cosmetic treatments, not every procedure is right for every patient. The ideal candidates for skin tightening treatments are those who don’t quite need a facelift, and whose skin hasn’t reached the level of looseness that only a facelift can target. If you are not ready for the cost, or downtime involved with a Facelift procedure; then book a complimentary consultation at Lasting Looks Clinic to discuss your options for rejuvenation. Visit www.lastinglooks.ca to see if Dermal fillers, Laser or Ultherapy is right for you. Ultherapy is ultra-sound face lifting treating below the skins surface tightening and lifting the muscle of your face as well as the skin. It is not meant to treat hyper-pigmentation, texture, fine lines, wrinkles or pore size . Ultherapy is also a great treatment to combine with laser skin resurfacing such as Fraxel ,because the laser treats the surface of the skin, while Ultherapy is working on the structural muscle and deep collagen. One of the best treatments and technology for skin resurfacing is a CO2 fractional laser. This laser is considered the most effective treatment for combating wrinkles, aging, and many other skin imperfections on the surface level. It’s important to have a consultation to see if you are a good candidate for either Ulthera/Ultherapy and/or skin resurfacing. Skin tightening of the face and neck can be achieved two ways. The first is with surgery , with either a neck lift or facelift. The second would be by stimulating the production of new collagen. There are a few options available to us. Chemical Peels can stimulate the cells to regenerate, resurface and produce new collagen deep within the skin. Having peels on a regular basis can also help the skin to tighten and become slightly denser. With IPL (Photo Rejuvenation) treatments the heat that is generated within the deeper layers of the skin helps stimulate the production of new collagen and also stimulates new cell growth. The latest treatment in skin tightening is Ultherapy. Ultherapy is a non-invasive treatment that uses focused Ultrasound to stimulate the production of new collagen and elastin fibers in the deeper layers of the skin to lift and tighten the skin tissue. The beauty of Ultherapy is that not only does it tighten skin but ultrasound technology makes it possible to address the deeper layers of the muscle of the face as well. At Lasting Looks Clinic in Toronto we have the appropriate treatments that can help to tighten your skin and your face to regain a more youthful look.